Some of us like fish (to catch, to eat, etc. ), but Spokeswomen Racing’s Rachel Hovel REALLY likes fish. By day, Rachel is a research scientist in the Aquatic and Fishery Sciences department at the University of Washington. But when she’s not up to her waist chasing a fish in a creek or lake somewhere in the Pacific Northwest, she’s an avid cyclist and bike racer. We caught up with Rachel to learn a bit more about her work and how cycling fits into her life. Q: Tell us about your work as a research scientist. Rachel: I am an aquatic ecologist, and I study how changes in freshwater environments affect biodiversity, ecosystem functions, and aquatic animals. I primarily work on fishes (including Pacific salmon!) and zooplankton, and most of my current research takes place in southwest Alaska, on Lake Washington, and in the Northwest Territories of Canada, where freshwater habitats are acutely experiencing the effects of climate change. It’s important to me that my research helps inform sustainable resource use and conservation. Q: When and how did you take up cycling? Rachel: Two years ago, a number of factors started limiting the amount of time I could spend mountaineering and alpine climbing, and I found myself spending a lot more time on my bike. A female climber friend of mine told me about cyclocross, and as soon as I watched a race I knew I had to try it. Cyclocross has remained my favorite discipline, and I love everything about it–the intensity, the mud, the community. Rachel: I really value how our team is a collection of women with diverse interests, and I was interested in joining a team that is invested in promoting women’s participation in the sport. In particular, I was attracted to how Spokeswomen Racing makes dedicated efforts to give back to the community (e.g. regular volunteering for Jubilee Women’s Center). 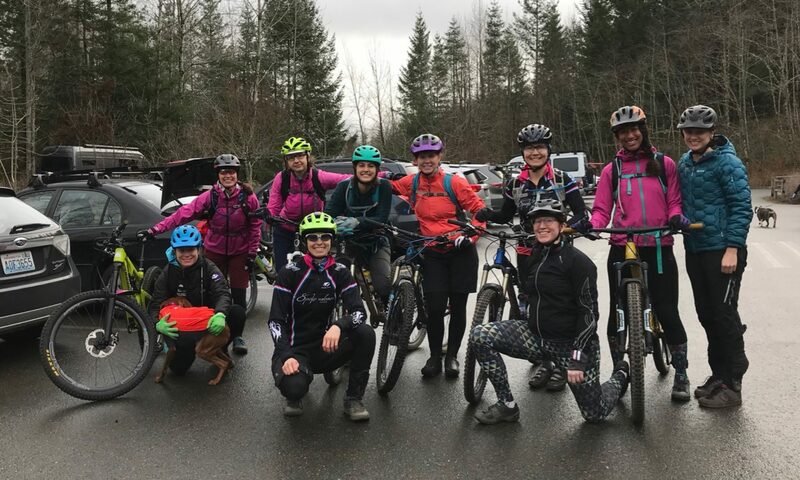 Rachel: I commute every day and try to get out for a couple additional rides every week–around town, at one of the mountain bike trail networks, or on steep gravel roads. I primarily race cyclocross, and most weekends in the fall/winter have a race day! Rachel: I also like to work on bikes! I built my around-town commuter, and there’s always something I’m updating or a new gear ratio I’m trying on one or another of my four bikes. Editor’s Note: Rachel will be moving to Maine later this month to begin a faculty position. We will miss her! However, she plans to continue to race for and represent Spokeswomen Racing on the other side of the country. Watch out!